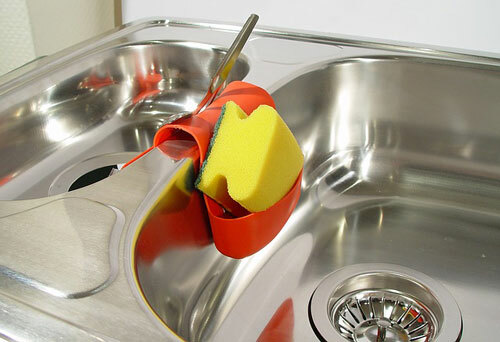 Garbage disposals are extremely handy appliances, but they can't work wonders. Residential units are really not intended to handle anything more than light food residue, and many times find Denver residents find themselves needing garbage disposal repair. Unfortunately, many homeowners don't realize that when they allow large amounts of food and other kitchen debris to be flushed down the sink, relying on their garbage disposals to take care of the problem, they are setting themselves up for trouble. After contracting a garbage disposal repair company like Lee's, Denver residents often go back to business as usual, which leads to excessive spending on what become routine repairs and replacements. The best thing to do is to avoid introducing large amounts of food waste into the sink to begin with. The reality is that, in many households, it can be challenging to prevent the occasional blockage from occurring. Should this be the case, there are a few easy fixes homeowners can attempt themselves before calling in a professional. First, find the reset button. It should be located on or near the bottom of the unit. If resetting the unit doesn't help, turn it off completely. Using a flashlight to peek inside the drain, check to see if there are any foreign objects lodged in the unit. Even small, seemingly innocuous kitchen items like plastic bread ties and staples can cause the system to become clogged. By repeatedly attempting to run the unit without taking adequate steps for garbage disposal repair Denver, residents run the risk of causing permanent damage to the motor. It's important never to attempt to remove the offending debris by hand even if the unit is turned off. This can be extremely dangerous. Instead, try a pair of pliers or check to see if there is a hex key jam under the sink or even taped to the unit itself. Often, garbage disposal repair requires this kind of specific tool, and the companies that install the units realize this and leave them nearby for future use. If, after several attempts to repair the garbage disposal, and Denver homeowners are still unable to use their appliance as intended, they should absolutely call a repair technician for professional help. Don't get frustrated. Just remember that no one was born knowing how to repair appliances, and there is no shame in hiring someone else to do the dirty work.